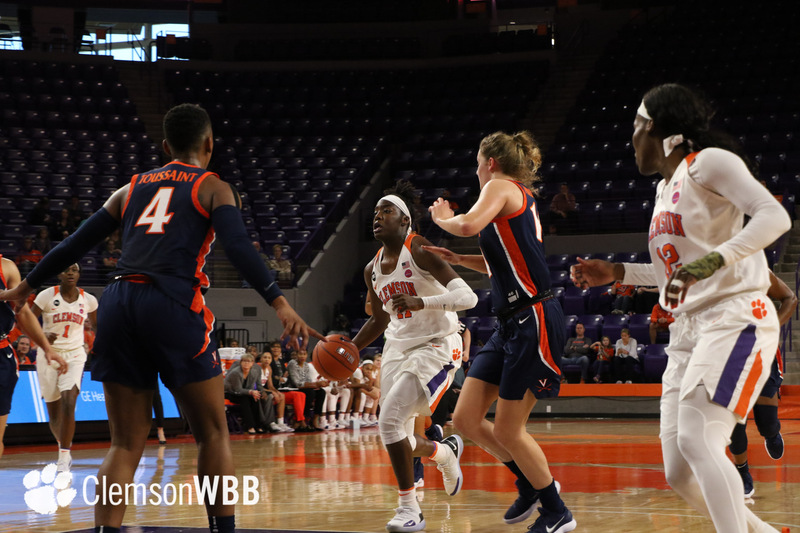 The Clemson Tigers defeated the Virginia Cavaliers, 71-65, Sunday afternoon for Clemson’s earliest ACC victory in the season since the 2014-15 season. 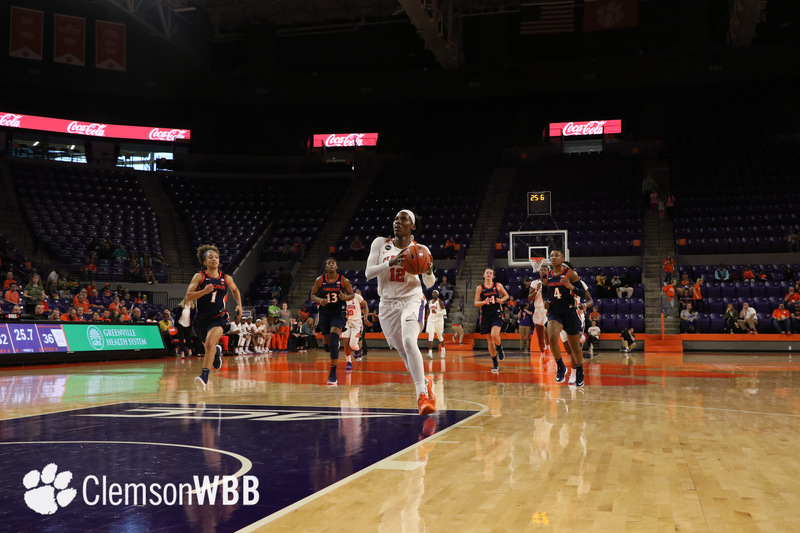 A large part of the Tigers’ victory over Virginia was due to the play of Clemson’s bench down the stretch. 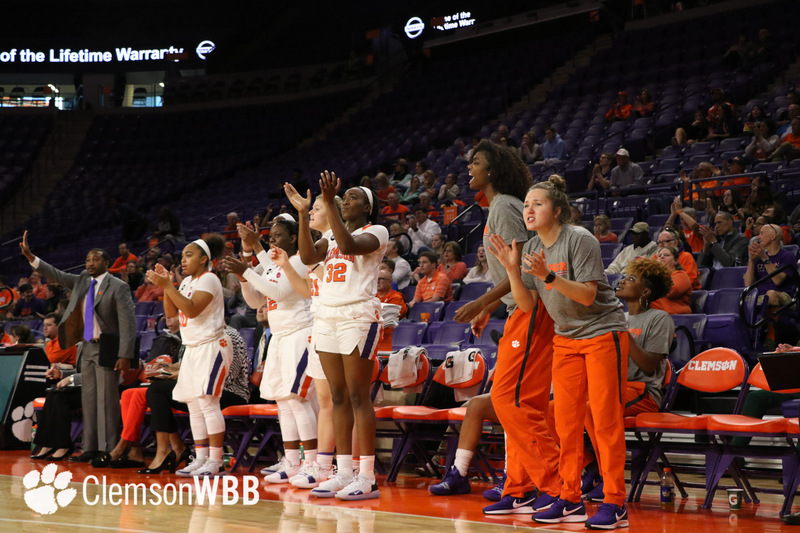 As a unit, the bench players poured in 23 points for Clemson, 11 of which came in the second half. 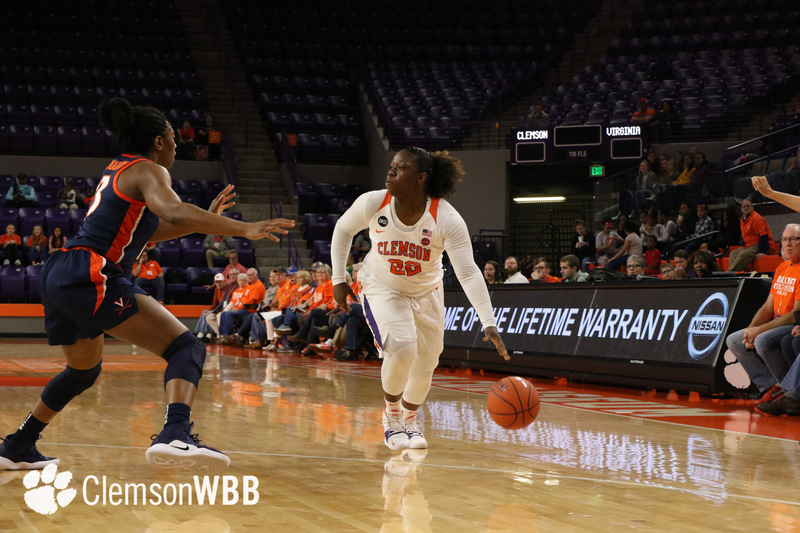 The reserves accounted for 44 percent of the Tigers’ points from the field in the pivotal third and fourth quarters. Leading the way for the bench players was recently returned guard, Aliyah Collier. 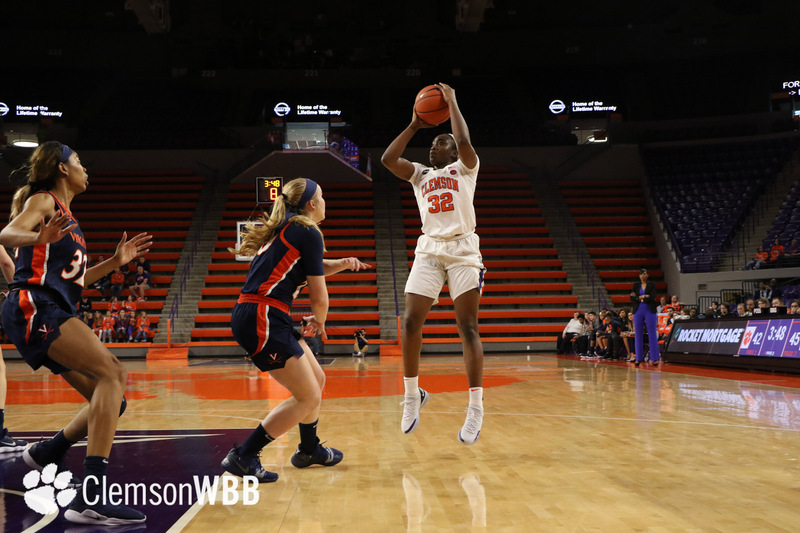 In her second game back from injury, the senior totaled 13 points on 6-of-9 shooting, including a deep three late in the third quarter. 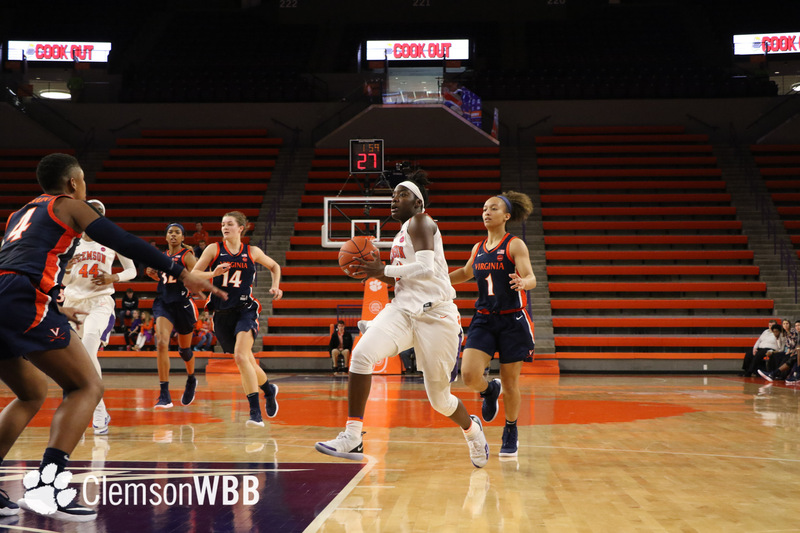 Collier’s presence was felt on defense as the guard added three steals and a huge two-handed swat to her seven rebounds. 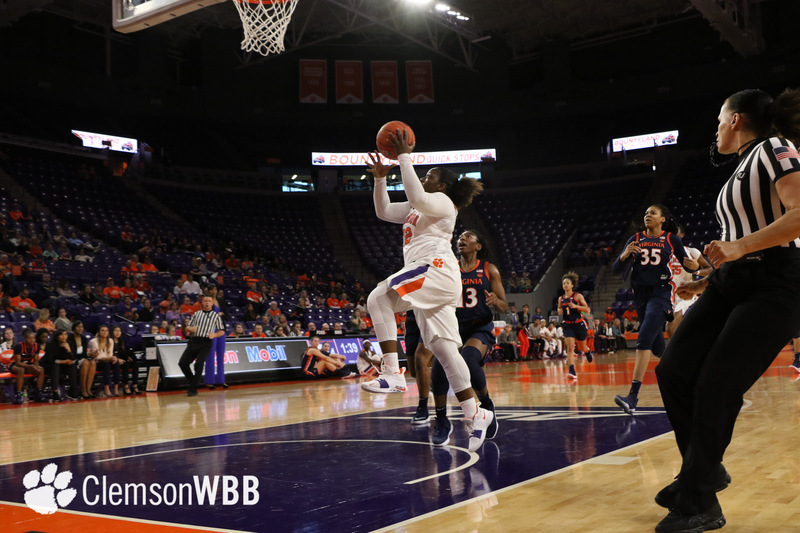 Late in the fourth quarter, Collier took a vital charge to bring up a much needed defensive stand for the Tigers. 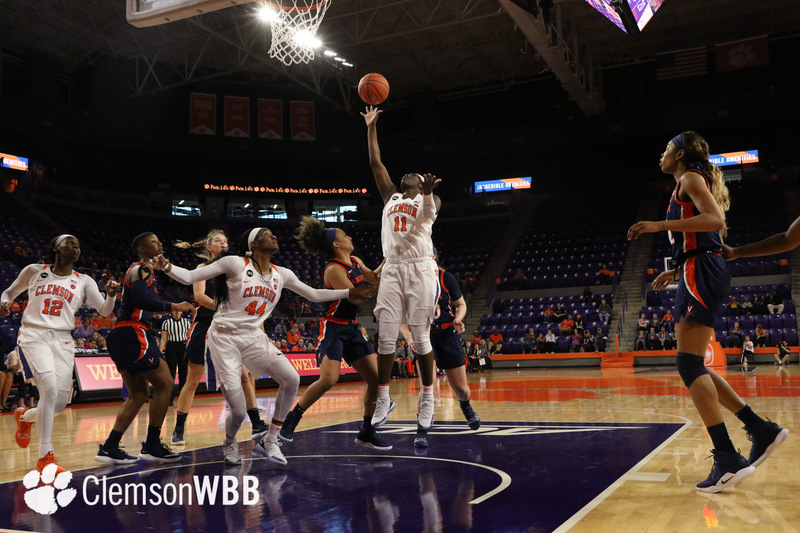 Freshman Taylor Hosendove also put in some key court time for Clemson, tallying eight points and three rebounds in 27 minutes of action. 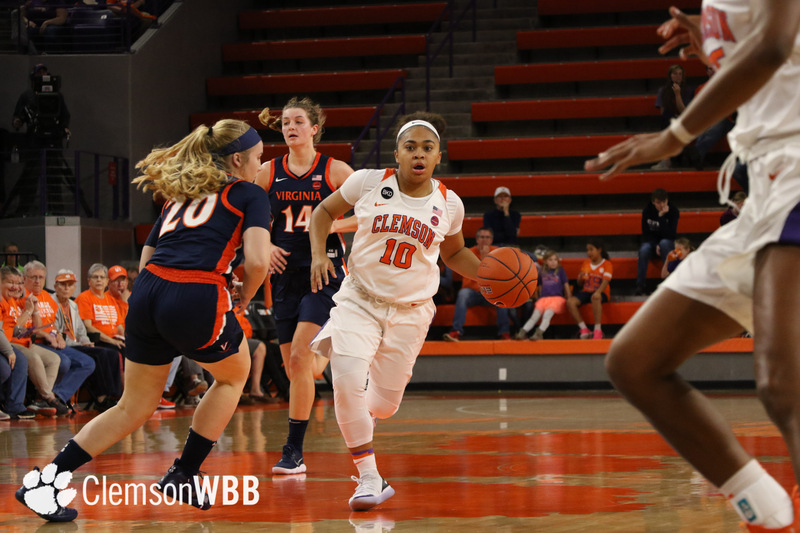 Redshirt junior Keniece Purvis rounded out the bench scoring for the Tigers, going 1-for-3 from the field, along with an assist.